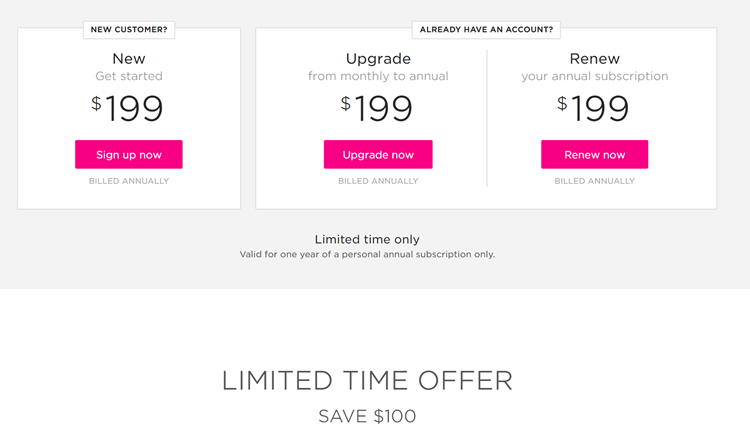 Is your Pluralsight subscription up for renewal soon or have you been waiting for a promotion to become a Pluralsight subscriber? Pluralsight, one of the best on-demand online training companies with over 6000 courses is currently having a promotion between now and and June 26th 2018 to save 100$ (33%) on a Pluralsight Subscription, and it even works on renewals! 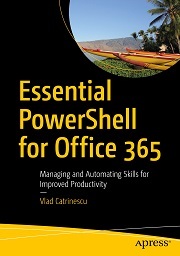 Whether you’re interested in learning SharePoint, Office 365, PowerShell, Angular or even Ethical Hacking and Security, 199$ for a year of unlimited learning is an amazing deal! Get the promotion now, click on the banner above or at the following link: https://spvlad.com/PSSave100June2018 ! Don’t wait too long as the deal ends on March 31st and it might not come back until the end of 2018! 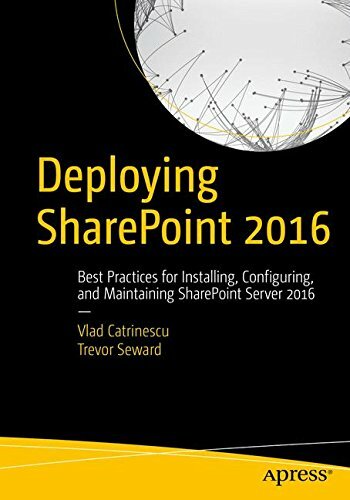 This is the perfect way to start learning SharePoint, or to master every detail of it! 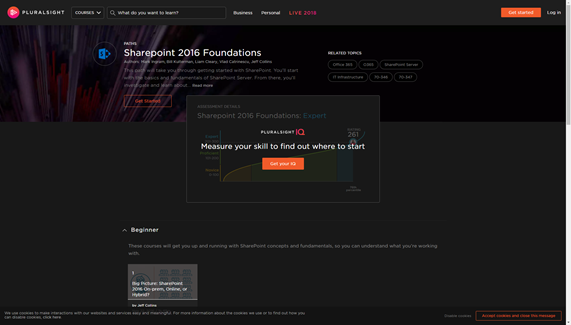 Pluralsight recently released a SharePoint 2016 path as well to help people get started with SharePoint, and there are multiple advanced courses there as well! Here are some of my courses! It can be tough to know where to start learning. Paths combine specific courses and tools into one experience to teach you any given skill from start to finish. Paths are aligned to an individual’s knowledge level, to help you and your team develop the right skills in the right order. Basically, it’s hand-picked courses on a certain topic, that will allow you to master a skill! Not only that, but they also have the Skill IQ, which is a quick test that will evaluate you on the subjects covered in that path, and tell you exactly what your strong points, and weak points are! It’s really a new learning experience that I love! 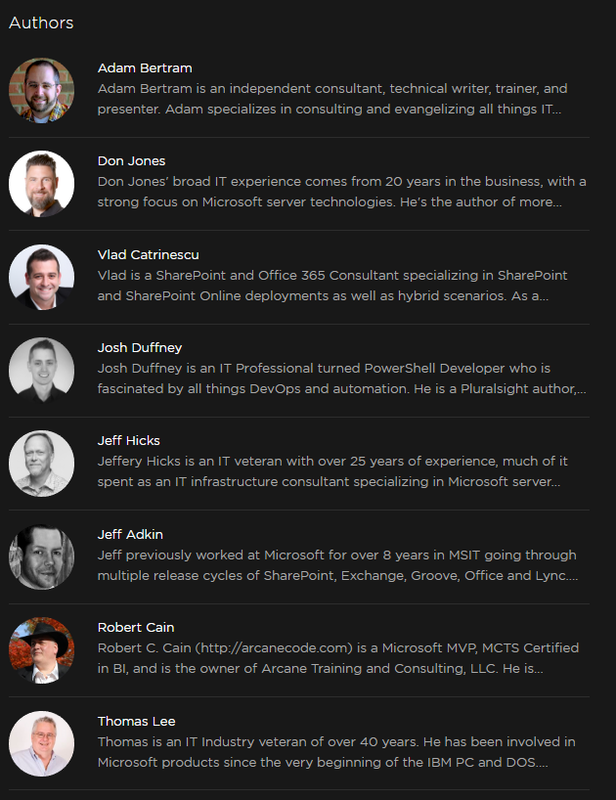 As always, Pluralsight content is created by the best in the industry, and the list of Authors below should speak for itself! Check out the paths at the following links, and make sure you share your experience in the comments! Over the last decade, the Intranet was the location that employees opened every day (often because IT forced it as their home page) to find information about the latest company news, learn about new hires, and find information needed for their day to day job. While Intranets were what everyone was talking about 5-6 years ago, the focus has switched to more than the Intranet, we’re now talking about the Digital Workplace! With all the tools like Yammer, Microsoft Teams, and Team News in Office 365, does the intranet still have a role in Office 365? What does an Intranet need to be relevant today? As organizations are upgrading their Intranets either on-premises, or in the cloud, in my opinion, a modern Intranet needs to have the following functionalities. 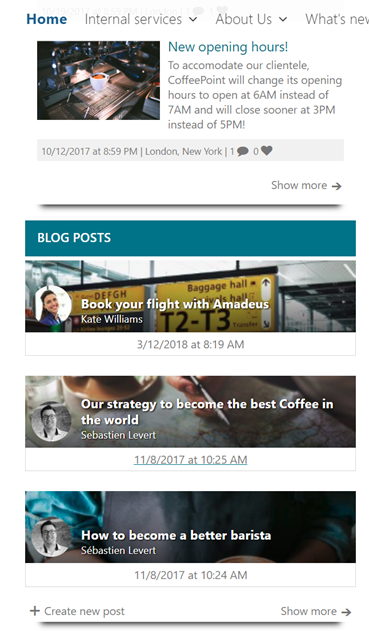 Screenshots from this blog are from an Intranet built with Valo Intranet, however the general principles apply to any Intranet that you build on Office 365. Work is not only done from the office anymore; modern workers need to have access to their Intranet from where ever they are, and on whatever device they might have with them at that moment. While the cloud makes the Accessible from everywhere part a lot easier, but there are still too many Intranets out there that do not work well on smaller devices such as mobile phones, or that links on the home page you need to hover over even on an iPad to access the tool underneath. (PS: Try hovering over a menu with an iPad, it doesn’t really work). Taking this further, the Intranet shouldn’t only be accessible via the browser, and needing to remember a URL, Intranets should be an app, directly on the user’s mobile device, making it as easy as possible for users to see what are the latest news inside the company, and to access the tools they need to do their job. We all know that Office 365 provides us more choice than ever before in how we want to work, in order to be more productive. 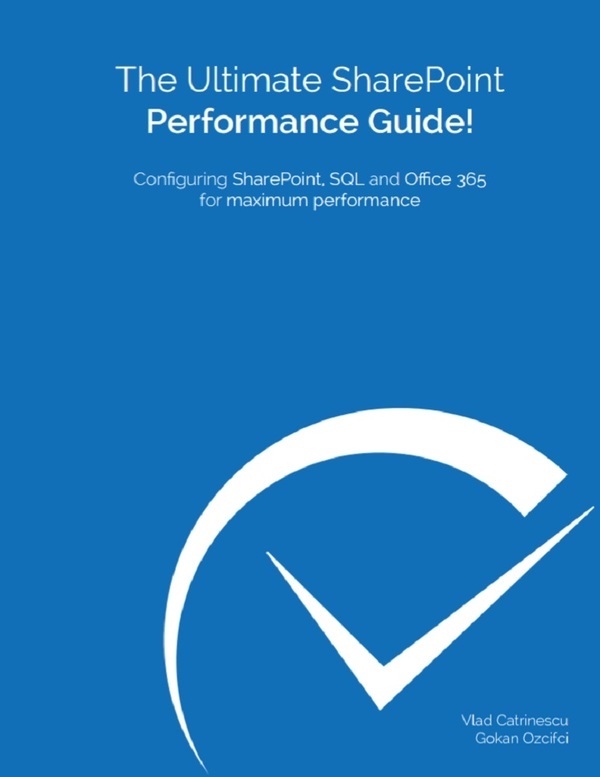 While five years ago, SharePoint used to be the hub of everything from managing tasks, documents, workflows, videos, social, and more, Microsoft is slowly creating dedicated apps that do each of those tasks better and offer more functionality. The downside is that users must now go to ten different applications every day to achieve their daily tasks, and stay up to date on everything, which is almost impossible. 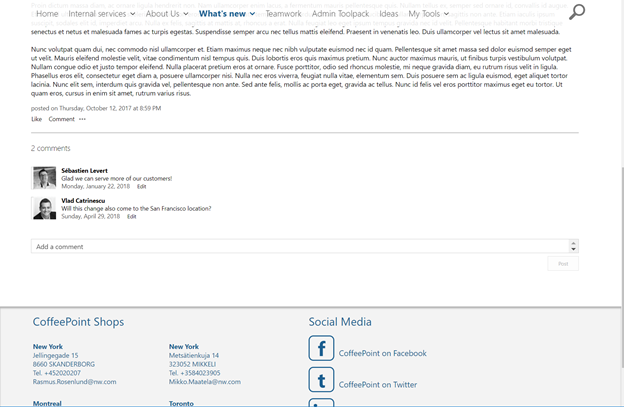 A modern Intranet should not only be a place for news and policies, it should embed the rest of your Office 365 tools where it makes sense. In the figure below, you can see Delve, Office 365 Video, and Yammer being integrated in on an Intranet home page. 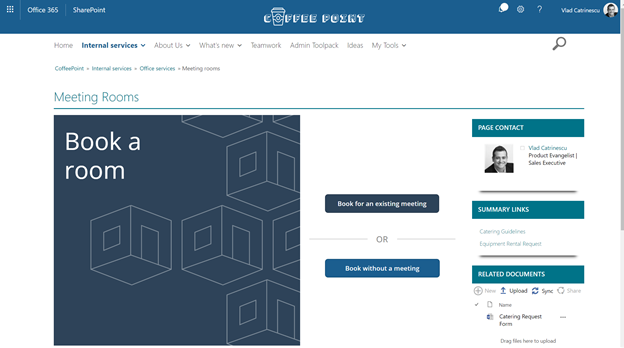 If the tool you use to book a meeting from is in PowerApps, and you want to refer to it from your Intranet, don’t just tell people to go to the PowerApps portal or their phone to book a meeting, embed that PowerApps directly inside an Intranet page, which allows users to do more in the Intranet, and allows you to provide extra content such as related documents, and guidelines as you can see in the example below. Imagine going on Facebook, or on Instagram and not seeing anything new… you wouldn’t go there much would you? It’s the same thing for the intranet, you need to make sure that your intranet always has new content for your users to read. That doesn’t mean you need to invent a new policy every day, a successful Intranet aggregates content both from your internal, and external communications to bring it alive. Let’s look at some ideas! Your Marketing & Communication team is probably spending multiple hours every week on making sure your social media identities such as Twitter, Facebook, Instagram are up to date with the latest news about the company, promotions for clients and news about the industry. 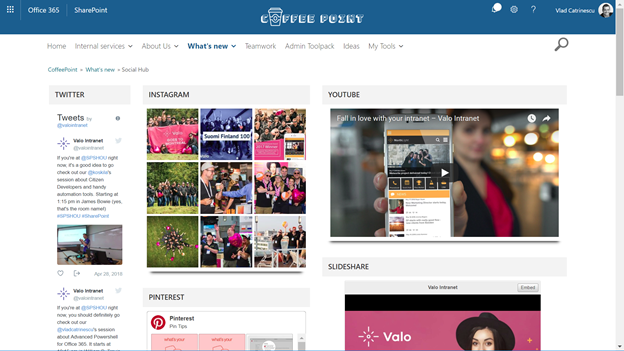 Employees don’t have time to go on 5 different social media networks to see what your company is sharing externally, so why not bring social media inside the Intranet? This will not only allow management to have a quick overview on what the organization is doing on social media, but it will also allow your employees, who are your biggest brand ambassadors, to quickly reshare and amplify it with their own audience. Even if your organization only works from 9 to 5, news from your industry come out at every time of the day, and night. Why not share the news from the industry directly on the Intranet home page to always have interesting content for your employees to read? In the next figure, you can see an Intranet homepage with an Industry news webpart that pulls news automatically from an RSS feed. While internal blogging is not in every organization’s culture, it can provide a great way for employees to share best practices with each other and increase the collective knowledge of the company. One way to start using blogs internally, is to replace the internal company wide e-mails like “CEO’s week in review” by a blog! One of the goals of the Digital Workplace is to reduce the number of e-mails, and replacing executive newsletters that are originally sent by e-mails, with a blog that appears on the home page is a great way to achieve that goal! As employees are working on multiple teams, and projects, it’s becoming more and more complicated for them to keep up to date with all of their sites. 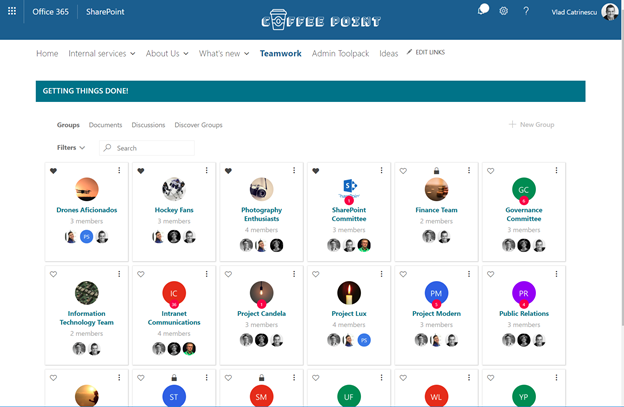 Wouldn’t it be great if your Intranet also helped you collaborate easier? Since your intranet is the door to your Digital Workplace, which includes all your collaboration sites, it’s important for the intranet to provide a portal, or an easy way for users to access their collaboration sites as well. 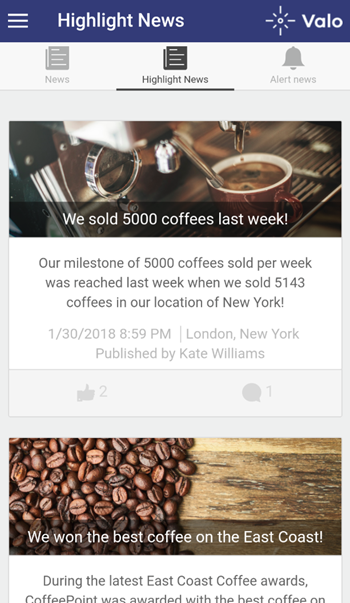 Intranets are not only one-way communication streets anymore, and, like Facebook, users want to be able to like News, comment on them and give their opinions on the news inside your Intranet! Not only this will increase employee happiness, but it will also make employees want to come back later on to that same news, to see what their colleagues think as well! Another idea for users to participate, and not only consume your intranet is an ideation / idea management tool inside your Intranet. Instead of submitting your ideas by e-mail, where they are hidden from other employees, you can create a system where everyone can enter ideas, and view, comment, and like ideas by other people inside the company. By having an open Idea Management system, you allow employees to view the progress of their ideas, as well as allow other employees to add comments on certain ideas with their own experience, and thoughts, enabling that co-innovation inside the company by using all your resources! With the rise of the Digital Workplace buzzword, people do not talk about Intranets as much as they did, even if they are still a critical tool inside your digital workplace toolkit. 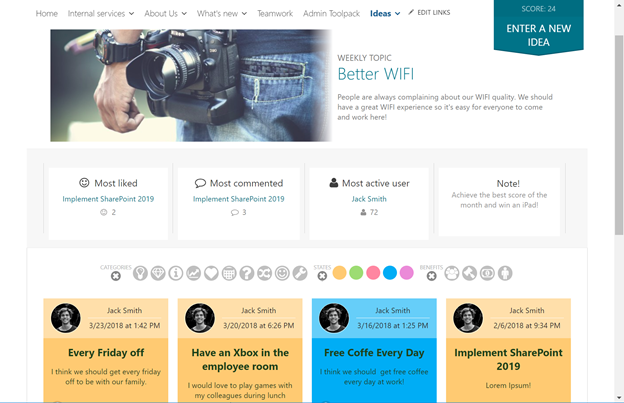 A well-built intranet that integrates your Digital Workplace toolkit, is accessible from everywhere, and allows employees to contribute will become the front door to your Digital Workplace toolkit, and users will go to it multiple times per day to see the latest news, events and quickly access their collaboration sites.